When Should You Be Wearing Your Earplugs? Wearing custom earplugs when you’re supposed to can help save your hearing for years to come. It’s obviously not very practical to walk around all day with earplugs in your ears, even if the decibels around you are exceeding the limit of what your ears can take without damage. We don’t always expect loud noises, and we can’t live in constant fear of damaging our hearing! However, there are easy ways to know when it’s time to use our earplugs. Occasional exposure to relatively loud noises is not always a problem, and usually causes temporary hearing loss at worst. However, wearing earplugs when you’re supposed to can help save your hearing for years to come. Read on to see when you should be wearing your custom earplugs. Many people use earplugs for common, everyday occurrences that could damage your hearing. Concerts, construction, riding in planes, and hunting are a few examples of when you’d frequently be wearing earplugs. In all of these conditions, exposure to loud noises for a prolonged amount of time can seriously cause damage to your hearing. In many cases, this could be permanent. Many people also wear earplugs when they’re sleeping, although this is mainly to block out any noises that may wake them up, which don’t have to be necessarily damaging. How Long Can You Use Earplugs? It depends on the type of earplugs you’re using. Disposable foam earplugs are going to need to be replaced quite quickly. If you sleep with them, you’re going to need a new pair at least every two nights. Bacteria can easily grow within the foam, leading to bacterial infections inside the inner ear. Reusable sleeping earplugs can be used for several nights, however, and are made of a silicone material. If they are made of silicone, you can always boil them in hot water before reusing them to rid them of bacteria. However, custom earplugs are your best option when it comes to protecting your hearing while saving money. Custom earplugs are tailored to fit your ear perfectly, meaning you’ll be protecting your hearing to the best of your ability. 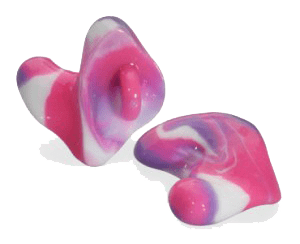 Custom earplugs are also designed so they don’t muddle sounds. You will be able to understand speech and voices, but they’ll be muted enough that you’ll be comfortable. Bay Area Audiology can help you protect your hearing with custom earplugs! This entry was posted on Monday, June 12th, 2017 at 1:22 pm. Both comments and pings are currently closed.